Price listed is for ten glass stones. 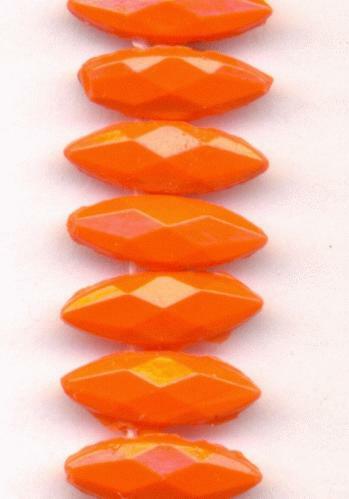 These are approximately 11mm by 4mm orange nailhead navettes. They have 2 sets of holes drilled side to side. They have faceted tops and flat backs.